Read the full transcript of former Brentham resident John Noppen’s recently discovered war diary, which contains daily entries from 4th October 1914, the day he left England for Flanders, aged 26, until his admission to hospital in Leicester on 15th March 1915, after receiving wounds at the Battle of Neuve Chappelle. The original diary has been lodged with the Imperial War Museum. 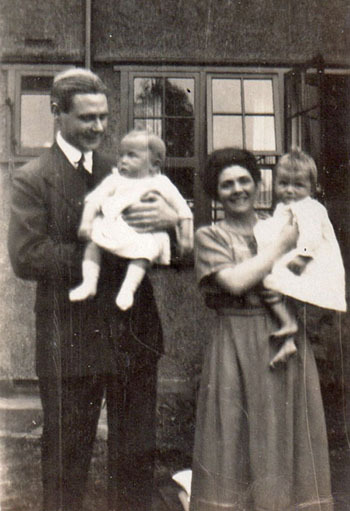 John’s daughter Muriel was a Brentham ‘character’, always to be seen at May Day and cycling on her ancient bike to the shops at Pitshanger Lane. Catch up on the project to restore the Brentham Club Tower, a wedding in Brentham and delve into the Brentham Archive in the latest issue! 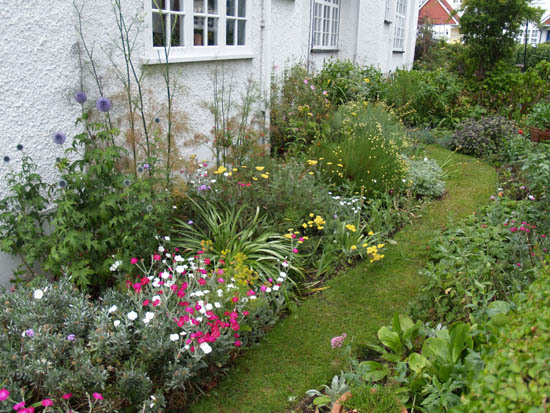 Would you Like to Join a Brentham Gardening Group? The evening gardening group meets on the second Tuesday of each month from April to October. 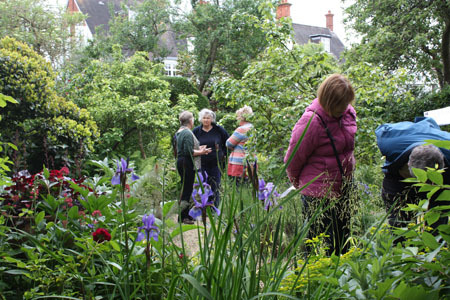 Members discuss gardens they have visited, gardening problems and exchange useful tips, plants and seeds. The afternoon garden group meets on the third Wednesdays in September and October, and then from next April. New members are welcome. 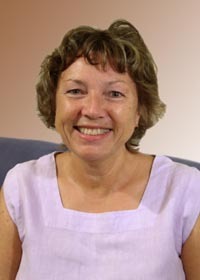 Gina Jenkins is the contact for the evening group, and Maureen Monaghan for the afternoon group. To find out more please contact Gina (evening group) or Maureen (afternoon group) – the Brentham Society secretary can pass on their contact details. 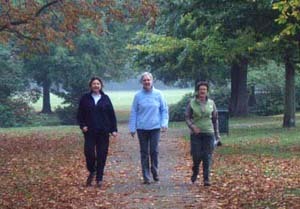 Join the Brentham Morning Walkers on their 30-minute walks round Pitshanger Park, and Scotch Common every Tuesday and Thursday morning. The BMWs estimate the walk is approximately 3,000 steps long – a third of one’s daily target. Not only do the BMWs enjoy the exercise, the fresh morning air and the changing scenery, but they also discuss films, theatre and anything else that is topical. For more information contact Rosanna. ....Or the Brentham Reading Group? 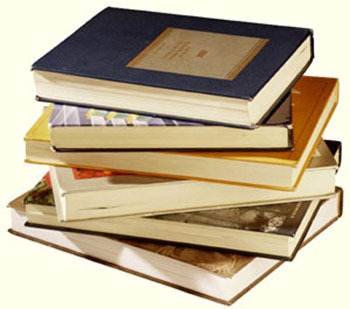 Brentham’s reading group meets on the last Monday of each month in the Conference Room at the Brentham Club to discuss a book chosen by members. New members are welcome. To find out more please contact Maureen Monaghan – email the Brentham Society secretary for Maureen’s contact details. These two little girls almost didn’t make it out of the grounds of the Brentham Club where they had been marshalled for the annual Brentham May Day procession around the streets of Brentham on 11 May. The iron gates to the Club were firmly padlocked and the key had gone missing. Luckily, Brentham Society stalwarts were on hand to lift the gate clean off its hinges and let the procession through in good order. There was a gusty wind and a brief shower at the off, but spirits remained buoyant. 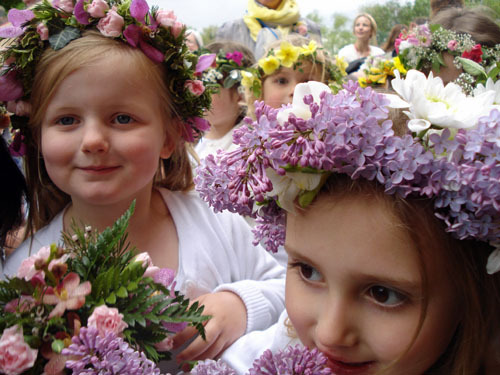 The children returned to the grounds of the Brentham Club where they danced round the maypole, and Queen Freya was crowned Brentham May Queen 2013. More than ten years after the idea was first mooted, Brentham finally has a permanent memorial to its most illustrious former resident. 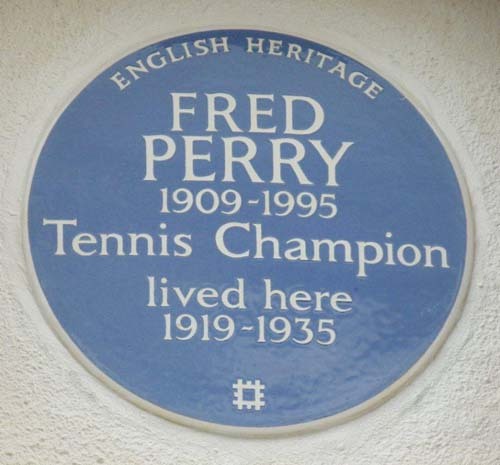 On Friday 15 June tennis champion Fred Perry received the rare honour of an English Heritage Blue Plaque (only nine are awarded each year) on 223 Pitshanger Lane, his family home from 1918 until he left Britain for the USA in 1935, and for the past 17 years the home of Iver and Ronnie Benattar. We were delighted to hear that Brentham resident Tony Miller is one of five Ealing residents to receive the honorary title of freeman of the borough of Ealing. This is the highest honour that can be bestowed on a resident by Ealing Council. 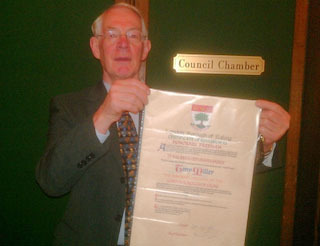 Tony is currently a Brentham Society committee member, and a former chair. For many years (decades!) Tony has volunteered in a wide range of community activities. He is currently a director of Ealing Arts Centre, works with Save Ealing’s Centre, sits on the committee of Ealing Civic Society, is vice-chairman of Ealing’s Liberal Democrats, and chair of the Hanger Hill ward police panel and ‘Streetwatchers’. 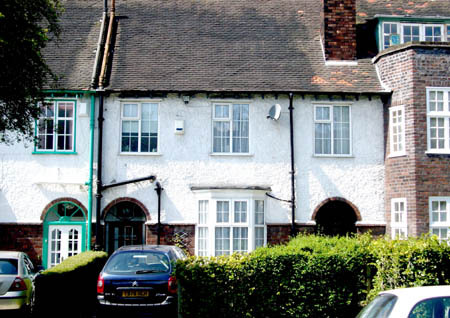 This photo was taken at Wavertree Garden Suburb, Liverpool where conservation has lapsed – note the plastic windows, satellite dish and front garden car parking. Brentham is a special place because of the flair and imagination of the planners and architects who created it a century ago, but also because of the way succeeding generations have kept faith with their inspiration and conserved Brentham’s special features. Swingeing cuts in the Council’s Planning Services mean a near 30% reduction in the staff who deal with development management, planning enforcement and conservation/urban design. In all, nearly nine full-time posts will go. Conservation will suffer as a result. Though the laws and guidelines on conservation are unchanged, there will be fewer professional staff to enforce them. If enough small but important changes slip through the net to change its basic character – the odd satellite dish here, the ‘wrong’ window there – we may risk losing our Conservation Area status altogether. That would be the end of Brentham as a special place to live. So we all need to take extra responsibility – not just for our own property, but for our whole neighbourhood - and demonstrate the pride we feel in it. If you value Brentham and want to help keep it special, please get more involved. Please contact Alan to find out more about the different ways you can help. By popular demand, an exclusive set of postcards of Brentham has been produced. The set includes 12 superb images – a mix of historic and contemporary – that reflect Brentham’s unique heritage and charming present. The postcards can be bought individually (60p) or in a set of 12 (£5) from Pitshanger Bookshop, or direct from the Brentham Society. 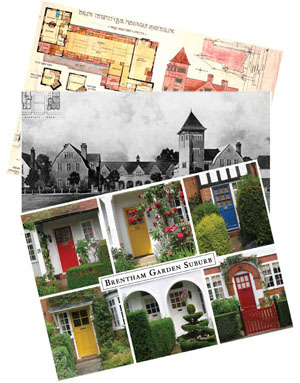 Email Sue for details of how to buy postcards through the Brentham Society. A charmingly quirky music video entitled ‘Unemployed in Summertime’ has received over 55,000 hits on the popular YouTube website. Can you identify the Brentham and Pitshanger Lane locations? Did you know that if you live in Brentham and are thinking of making changes to your front path, hedge or exterior paintwork, you will need to apply for planning permission? To help residents steer their way through the unusually strict planning controls for this ‘Article 4 Conservation Area’, the Brentham Society has produced new guidance for residents. Read the clear, informative guidance here . 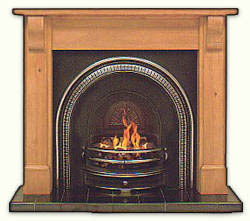 It could save you time, money and anxiety if you are planning changes to your home.